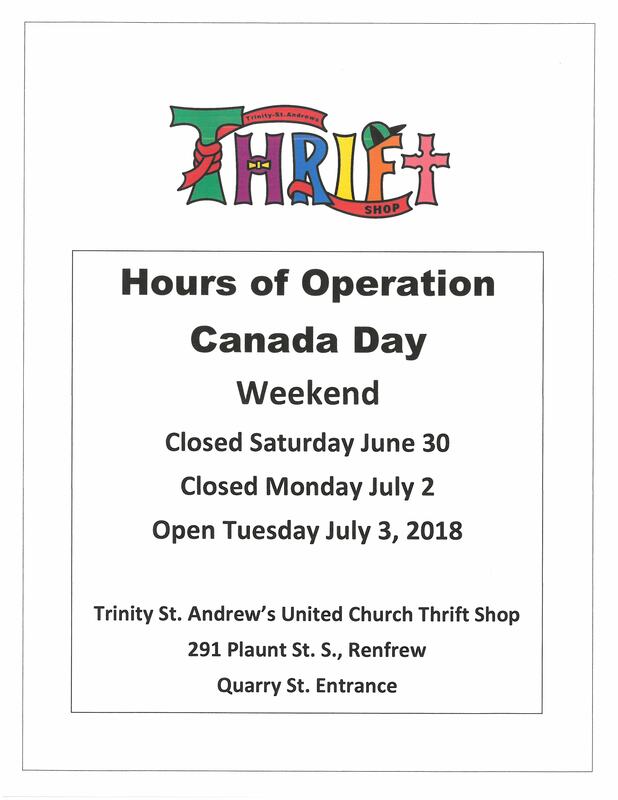 The TSA Thrift Shop will be open on Thursday, June 28, from 3-7pm, and then closed over the Canada Day long weekend. The Shop will re-open on Tuesday, July 3, from 10-2. We would like to wish everyone a safe and happy (and hot!) Canada Day weekend!